It's that special time of year when you squint at your TV, rewind to make sure you heard right, and go, "Patty Hearst is into dog shows now?" 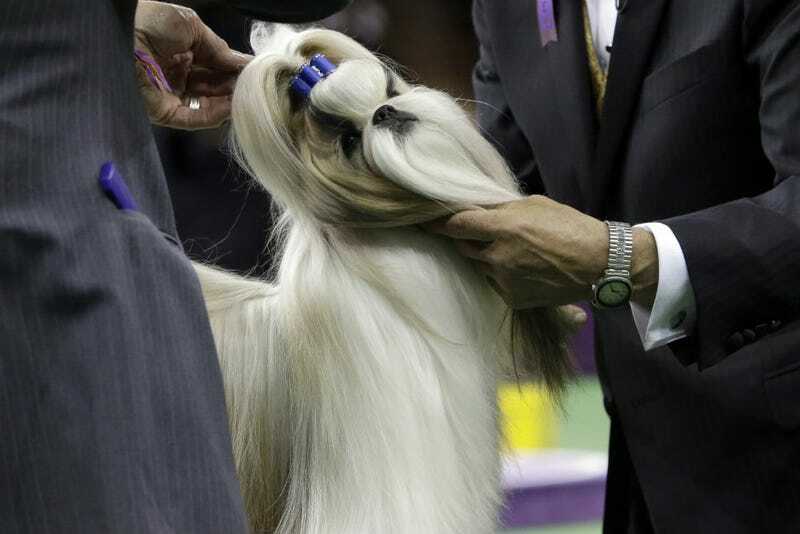 The heiress to the Hearst newspaper fortune, who served 22 months in prison after being kidnapped by and then joining the Symbionese Liberation Army in 1974, is back in the news today because her very tiny dog won a thing. Hearst, who now goes by her married name of Hearst Shaw, served 22 months of seven-year sentence for her involvement with the SLA, had her sentence commuted by President Jimmy Carter, and was fully pardoned by Bill Clinton in 2001. She has said that she was abused, sexually assaulted and brainwashed into participating in the SLA's bank robberies, as well as an unsuccessful 1975 attempt to detonate an explosive device intended to kill Los Angeles police officers. "People move on," she told the Chicago Tribune at Westminster. "I guess people somehow imagine you don't evolve in your life. I have grown daughters and grand-daughters and other things that normal people have." Hearst Shaw started participating in dog shows around 2008, when her French bulldog Diva won a runner-up ribbon at Westminster. At that time, fellow SLA member Sarah Jane Olson was still serving the last year of her own seven-year sentence, which she served in full. One SLA founding member, Joseph Remiro, remains in prison; he is serving a life sentence at Pelican Bay.